By attributing Brady’s on the field performance to the nutritional benefits of veganism, Baur is using this professional athlete to promote plant-based living. While diet and performance may be closely linked, I find myself most interested in the very contested nature of categories such as vegan. These categories are often taken for granted as descriptors to define a monolithic category or movement. However when conflicts inevitably arise, they demonstrate how identities are continually being constituted, constructed, and challenged. 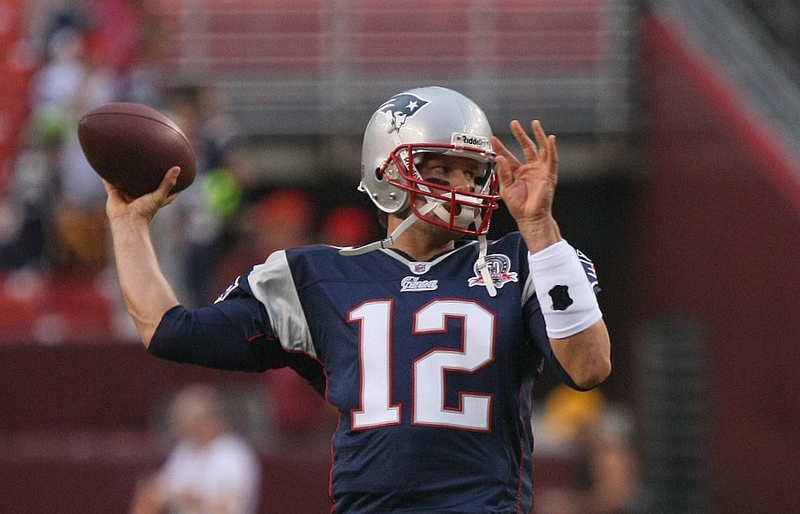 In response to the above article addressing Brady, many comment sections give praise to the four-time Super Bowl MVP, seeing Brady’s lifestyle as positive PR for the vegan and vegetarian movements. However, others challenge Brady being labeled vegan — “He’s plant based most of the year. Not vegan.” Or “If you’re not ‘vegan’ all year, you’re not vegan.” Or “Plant strong! Not Vegan! Being Vegan is more than just food.” He is also called out for his choice to wear and be an advocate for Ugg boots, which are made of sheepskin. These statements are meant to challenge the notion that Brady is vegan, insinuating that there is a universally accepted definition of what it means to be one. In turn, another category of commenters arise who attempt to delegitimize the former by labelling them “militant vegans,” a derogatory term for those with a rigid definition of veganism. Here they are advocating for a more pliable category that allows a greater number of people to be included in the movement. One can begin to see what is at stake for the parties involved when the category of vegan is continually reconstructed for diverse interests. The very utility of terms such as vegan is called into question when there is no consensus on what is to be included in the definition. 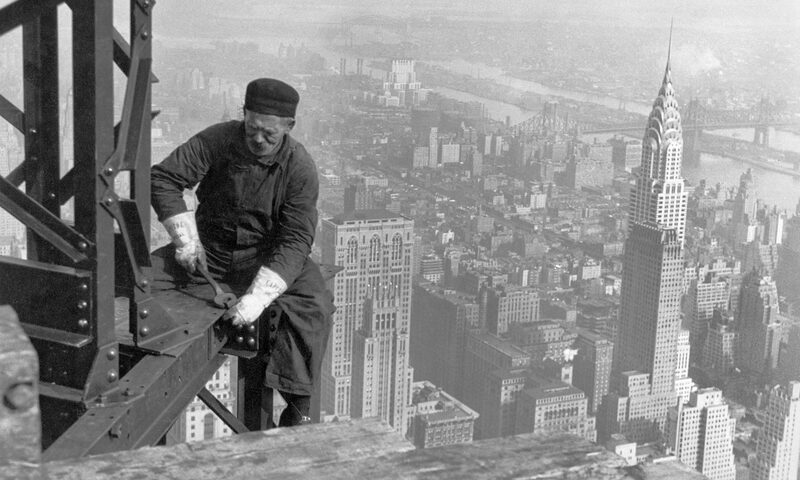 In a previous post on Culture on the Edge “Who Are You? I’m a Vegetarian“ Steven Ramey offers valuable insights that I find to be applicable in these examples. Like many other designators such as “religion,” we find that “veganism” does not contain an essence that is easily analyzed. Instead what I find of most interest is the value that a flexible category such as vegan or vegetarian has for varying parties involved in deploying it. On the one hand the terms may be deployed and used to include a celebrity such as Tom Brady to help promote a movement and propel it forward. For those who do not see Brady as a pure vegan, they see their movement being watered down. In the end, these terms may be best examined in regards to the sets of social relations that are often pervaded by contested ideologies. Interesting article… thanks. I don’t know anything about Tom Brady, but it’s too bad these labels are so divisive. I am not wholly vegetarian or vegan, but I’ve been trying to eat mostly plant-based foods because I’m convinced that it’s much healthier. That doesn’t even seem to be a choice here… I don’t need a label or the baggage that comes with it. The salient point here is that the focus is on the animals, and seeks to eliminate or minimize exploitation and harm to other species. Eating mostly plants, as hinted at in the article, can rightly be referred to as following a plant-based diet, and is usually undertaken with an eye toward reaping anticipated health benefits for the human, as opposed to trying to limit the suffering or exploitation of other animals. Clearly, to eat a mostly plant-based diet, but buy and wear leather products, is hardly adhering to a vegan ethos; it’s simply plant-based eating. 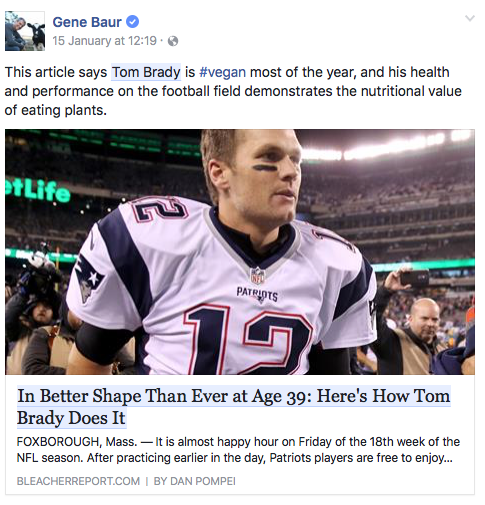 Presumably, Gene Baur of Farm Sanctuary understands this distinction, but recognizes that if people see a high-profile athlete like Tom Brady eating plant-based (i.e., ‘mostly’ vegan), it could help dispel persistent myths about vegan diets being nutritionally inadequate or unmanly. From there, those inclined to minimizing animal suffering might be more prone to embracing a vegan lifestyle if they’re more confident that it is nutritionally sound. What if a deer dies by getting hit by a car, an accident of course, would it be okay if a vegan chose to consume said deer because it was not necessarily a subject of abused or extermination for the sole purpose of the harvesting of flesh and hyde for consumption. Since his hypothetical situation was merely an accident, one could consume this flesh and still be a vegan, no? It’s an animal, so no, it would not be vegan. Vegans don’t consume animals or their byproducts. huffington post reporter is incapable of intelligent thought.